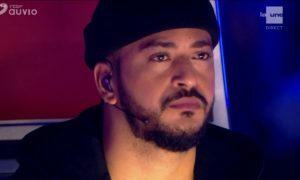 ESC+Plus wants to invite you to this amazing Eurovision marathon! 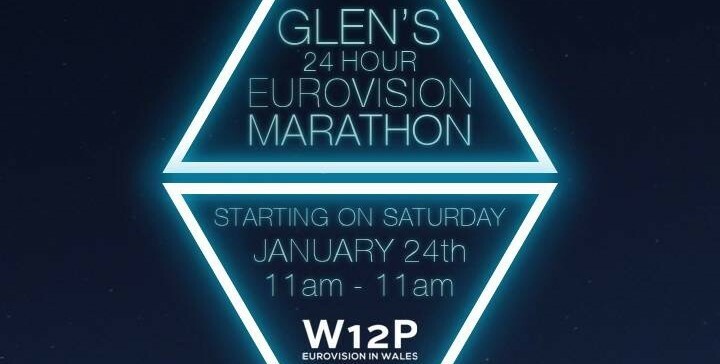 Welsh Eurovision fan Glen Bartlett (W12P – Eurovision in Wales) will be hosting a 24 hour radio show dedicated to Europe’s favourite TV show. 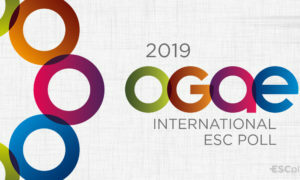 In co-operation with Oystermouth Radio (Swansea), flyingtheflag.eu and escnews.org – be prepared for 24 hours of the best: Eurovision tunes, interviews, special guests and fun! All donations received will go towards Lymphoma and Leukemia research! 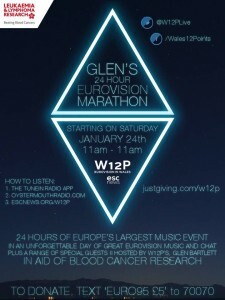 “I’m doing a 24 hour Eurovision themed radio show for Leukaemia & Lymphoma Research because I want to raise money doing something I love!”, stated Glen. It all starts at 11am GMT / 12pm CET on Saturday, January 24th 2015.. all until 11am GMT / 12pm CET on Sunday, January 25th 2015. 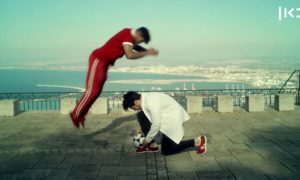 People can donate either by texting EURO95 to 70070 (UK only) or by going to the justgiving.com/w12p page (worldwide). Download the ‘TuneIn Radio’ app and search ‘Oystermouth Radio’. Read more about the charity at: www.leukaemialymphomaresearch.org.uk and www.flyingtheflag.eu.